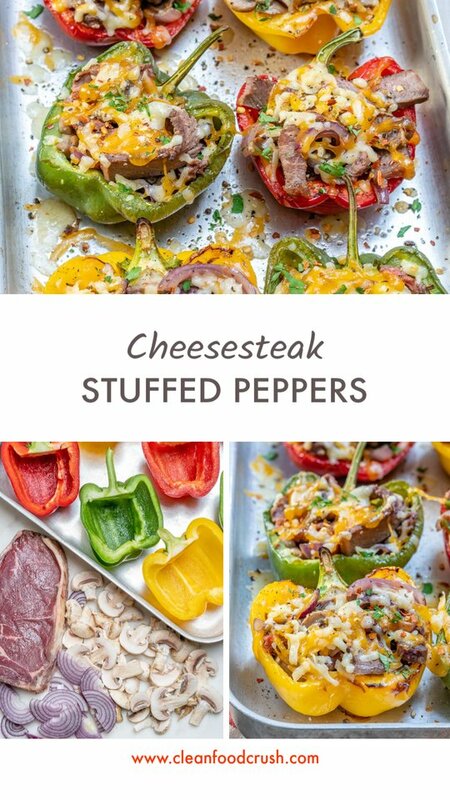 Cheesesteak Stuffed Peppers are a Clean Eating Dream! 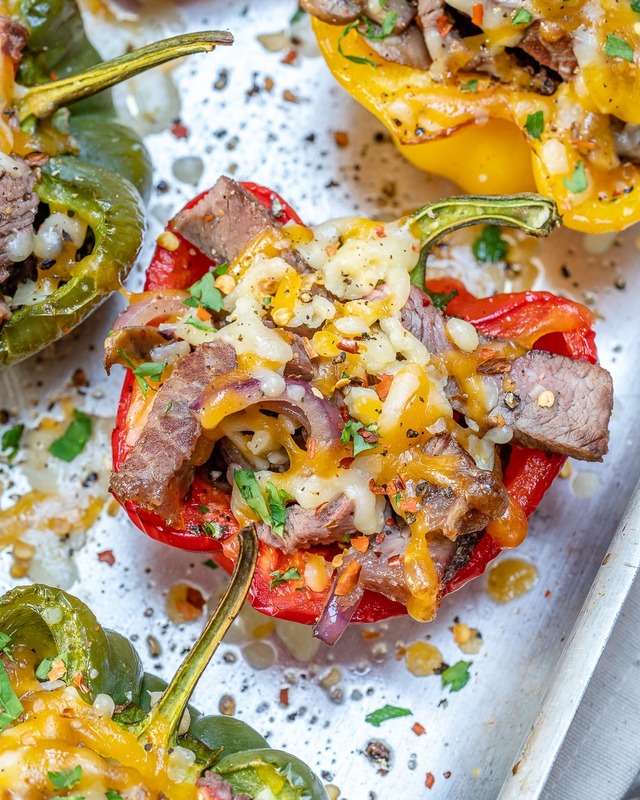 A SUPER FAST brand new CFC spin on a meal that will definitely make everyone feel HAPPY to be home tonight! 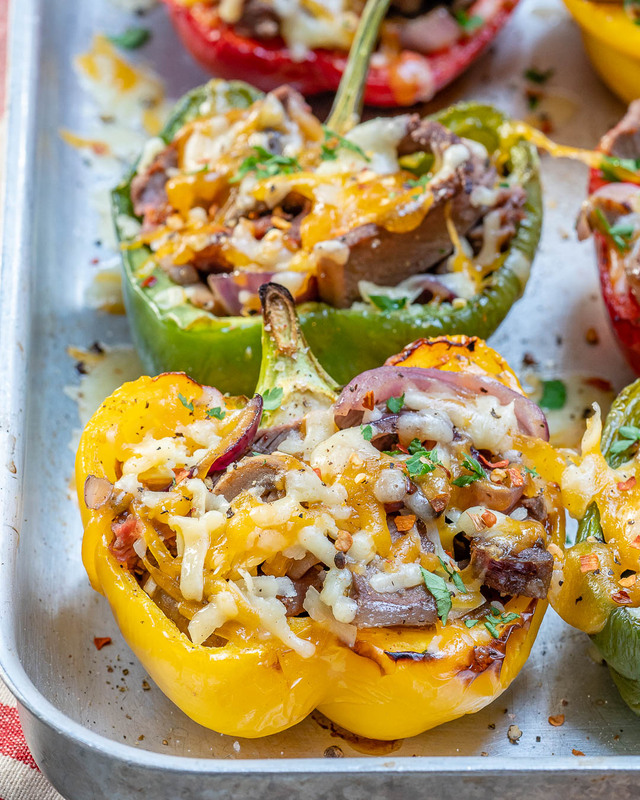 Place peppers in a baking tray and bake until just tender, about 15 minutes, then set aside. Meanwhile, heat oil in a large skillet over medium-high heat. Add onions, mushrooms, and Italian seasonings, then sauté for about 4-5 minutes. 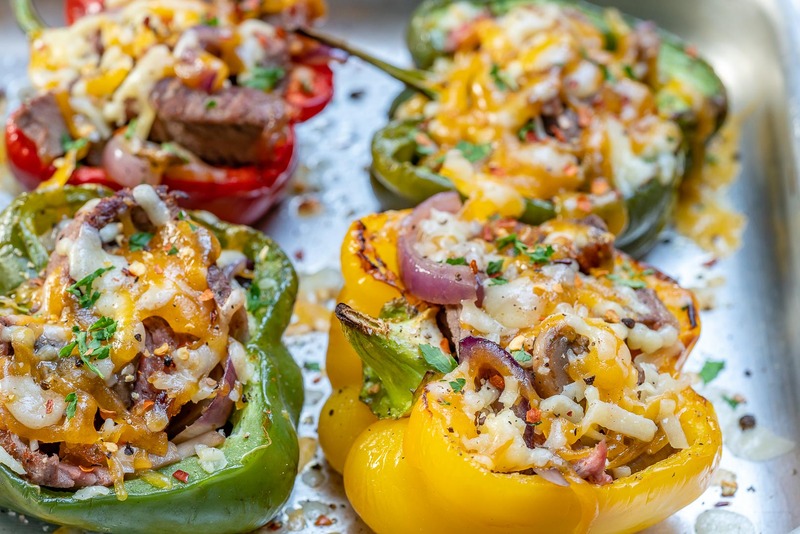 Season with sea salt and pepper to your taste then set aside. Rest meat on a cutting board for about 5 mins, then thinly slice it against the grain. 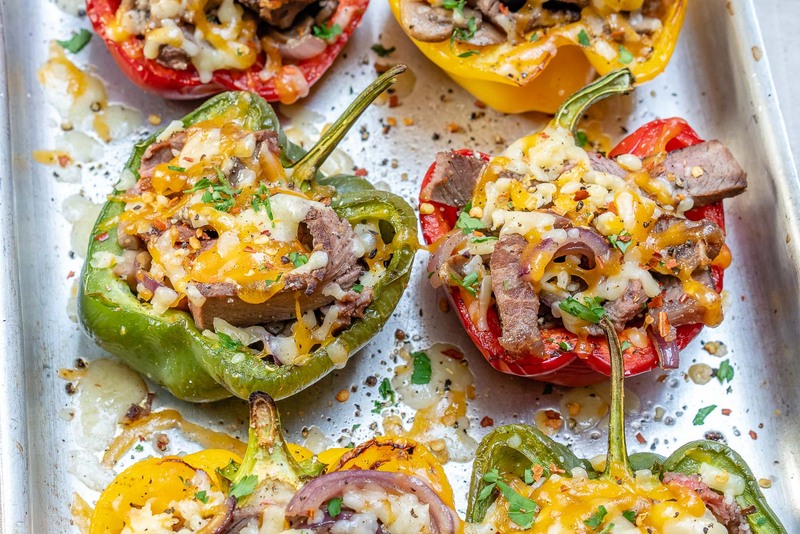 Stuff peppers with steak slices and onion-mushroom mix, then sprinkle with shredded cheese. 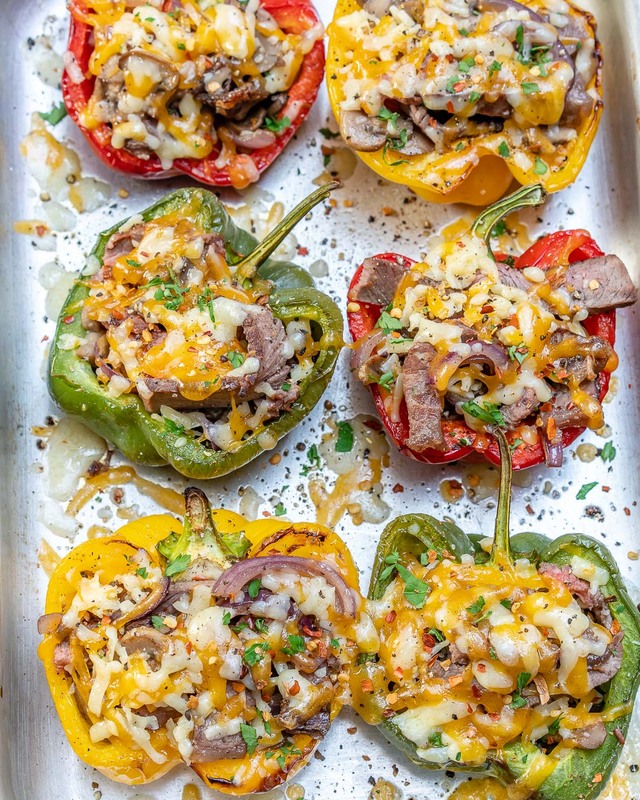 Broil stuffed peppers just until cheese melts, about 3 minutes. Garnish with fresh chopped parsley and chili flakes and enjoy immediately. 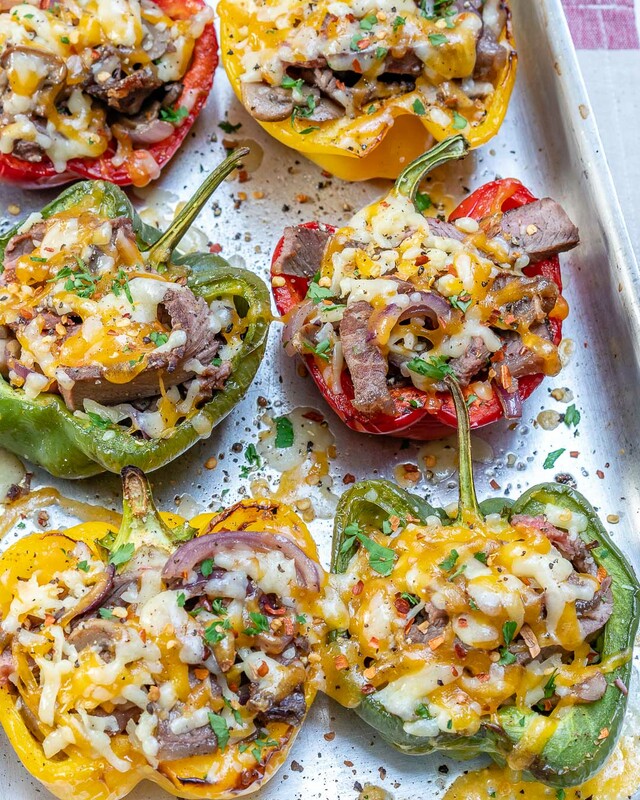 Preheat your oven to 350 degrees f. Place peppers in a baking tray and bake until just tender, about 15 minutes, then set aside. Meanwhile, heat oil in a large skillet over medium-high heat. Add onions, mushrooms, and Italian seasonings, then sauté for about 4-5 minutes. Season with sea salt and pepper to your taste then set aside. 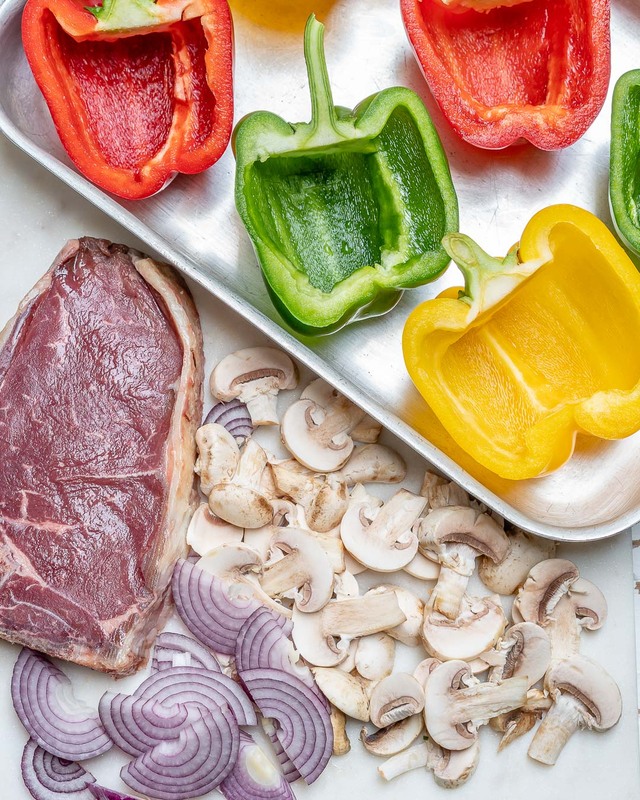 Season steak on both sides with sea salt and pepper, then add it to your heated skillet and cook it to your liking. 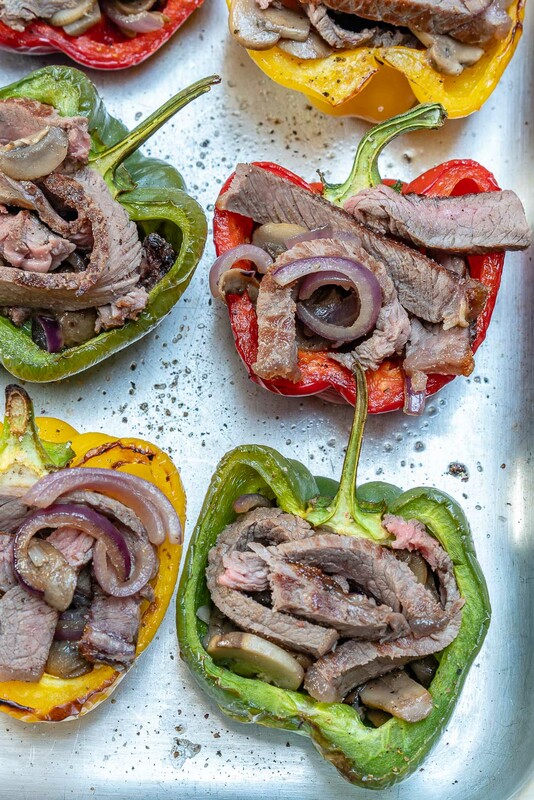 (2-3 minutes per side will make a medium steak) Rest meat on a cutting board for about 5 mins, then thinly slice it against the grain. 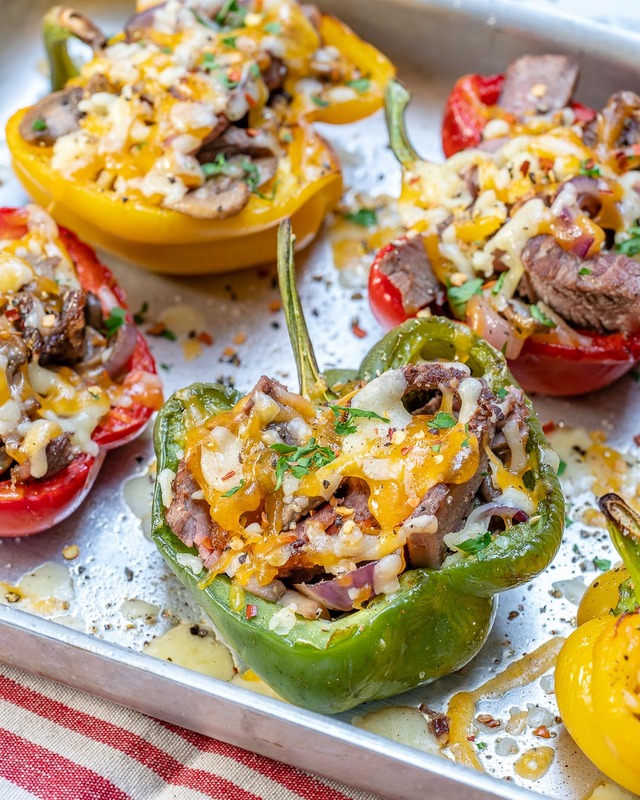 Stuff peppers with steak slices and onion-mushroom mix, then sprinkle with shredded cheese. 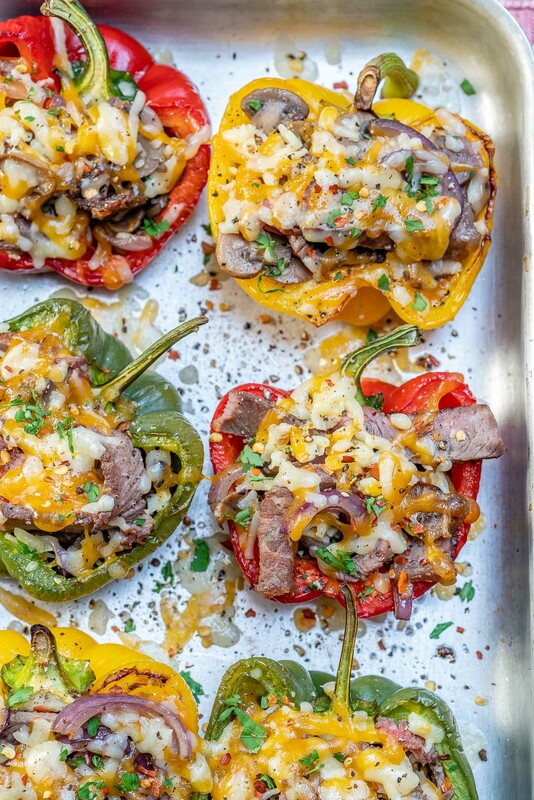 Broil stuffed peppers just until cheese melts, about 3 minutes. Garnish with fresh chopped parsley and chili flakes and enjoy immediately. Remember to tag me @CleanFoodCrush in your creations!